Machining best practices are specific to either the task or the device. For grinding, metal-cutting, or work holding, many tools can be used to complete the task. With devices, some techniques are universal, but machine-specific controls, such as for different types of CNC machines, vary. CNC programmers write and edit the G code instructions used by computer numerical controlled machine tools to machine or process manufactured parts. Grinding technicians set up and operate grinding machines to produce parts using abrasive grinding and inspect those parts to ensure they meet specification. Lathe operators set up and operate lathes to produce cylindrical parts and inspect those parts to ensure they meet specification. Machining fundamentals offers an introduction to the metal cutting and machining industry, covering such topics as common vocabulary, safety, processes, and theory of the basic practices necessary when operating machine tools for part production. 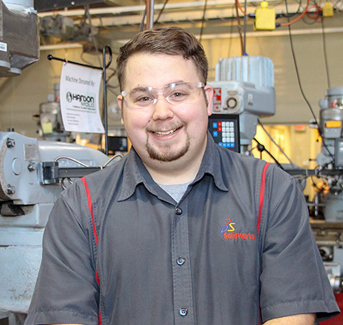 Those new to the operation of machine tools will learn the basics they need to work towards a profession in the machining industry. Mill operators set up and operate milling machines to produce prismatic parts and inspect those parts to ensure they meet specification. Production grinders set up and operate grinding machines to produce parts and inspect those parts to ensure they meet specification. Production machinists set up and operate machine tools to produce parts and inspect those parts to ensure they meet specification. Quality technicians perform tests and inspection to confirm that final products meet specifications using inspection instruments and gages and testing equipment, as well as creating instructions for inspection, investigating and resolving issues with quality, and conducting statistical process control. Toolmakers and diemakers perform cutting, grinding, and assembly to fabricate jigs, fixtures, dies, and inspection, cutting, and machine tools using manual and CNC machines, including lathes, mills, and grinders. Waterjet operators set up, program, and operate water jet cutters, monitoring machines during production to adjust the controls as needed. Waterjet operators often also inspect finished parts to ensure they meet specifications. Wire EDM operators set up, program, and operate wire electrical discharge machines, monitoring machines during production to adjust the controls as needed. Wire EDM operators often also inspect finished parts to ensure they meet specifications.